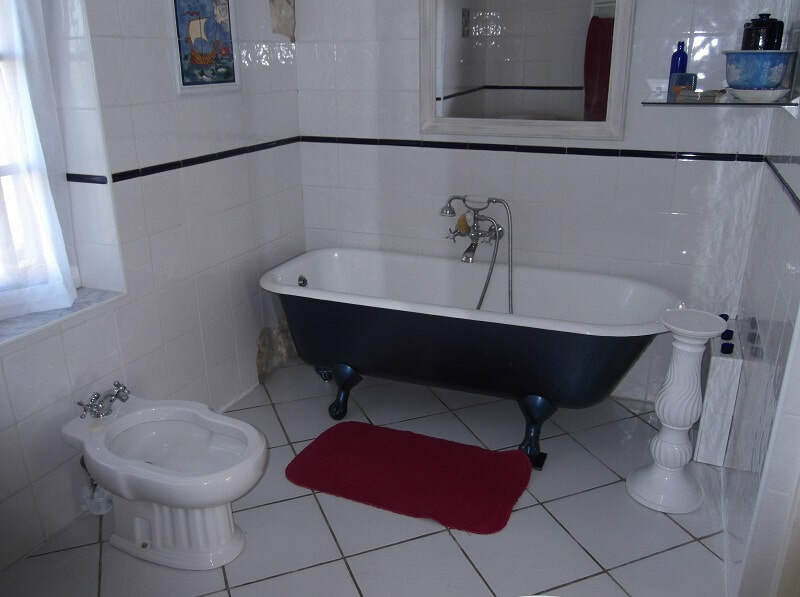 Chez Nous was originally our accommodation, and offers spacious accommodation for up to 6 people in 2 spacious bedrooms, each bedroom having a double and single bed. 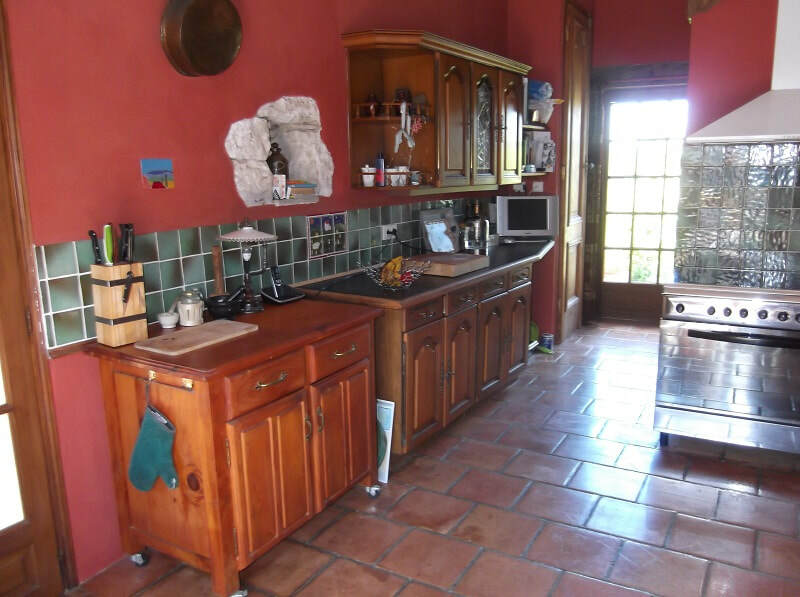 A well equipped kitchen with a large sitting/dining room give guests plenty of indoor space. 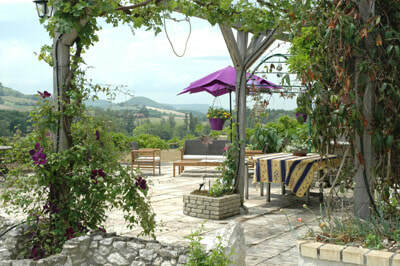 Outdoors there is a large south facing sun terrace with a wisteria and vine clad arbor for shade. 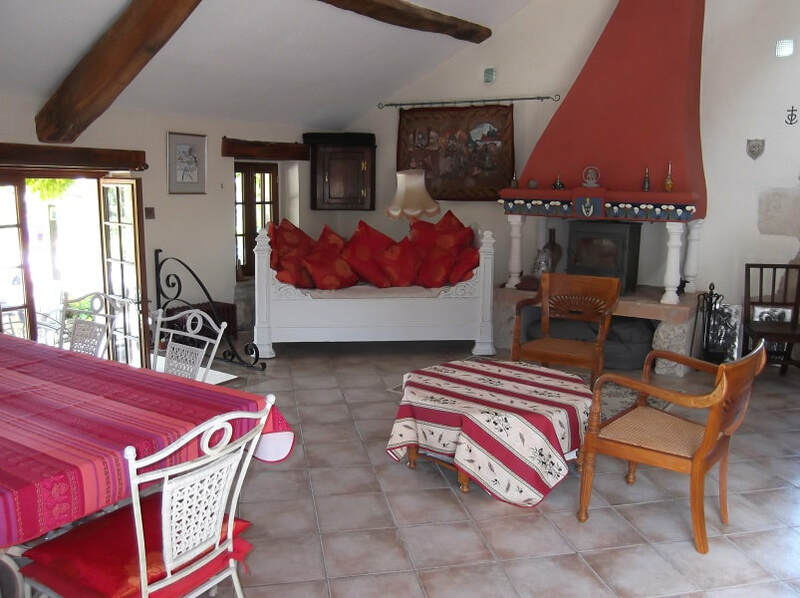 Chez Nous can be available as an annexe to Maison de Ferme, increasing capacity of that to a total of 16 people: When let as an annexe, guests will have access to the exclusive pool of Maison de Ferme. Chez Nous will be available at reduced occupancy rates in May, June and September. 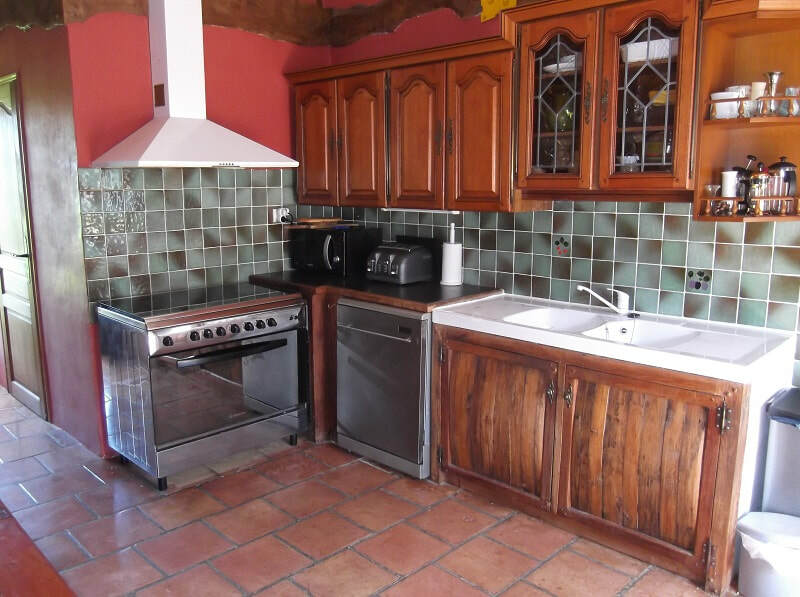 The main door leads into the Kitchen with a good range of equipment including cooker, dishwasher, fridge/freezer and microwave. Back through the kitchen are the two bedrooms, and each having its own bathroom. The second (twin) bedroom has a door directly to the outside. French doors lead out from the Sitting/Dining room onto the superb terrace with a wisteria and vine clad arbor giving shade. 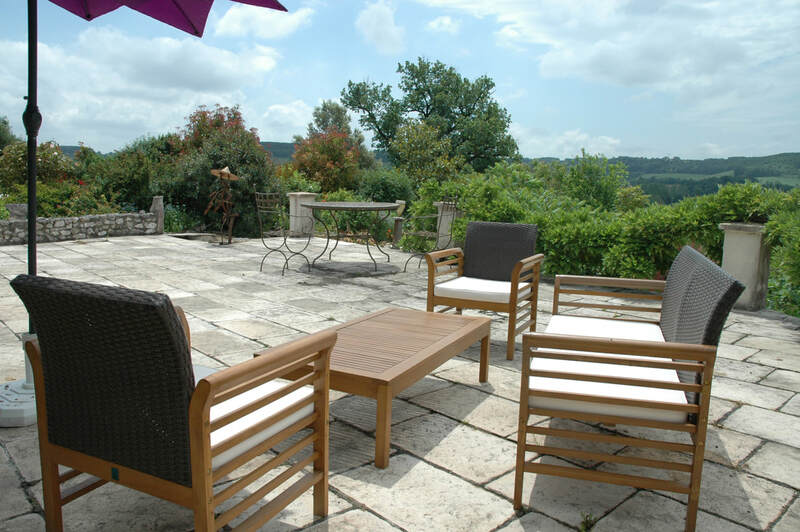 This terrace enjoys a spectacular view over the surrounding countryside. Chez Nous has internet, TV, and table tennis and boules for the more energetic. 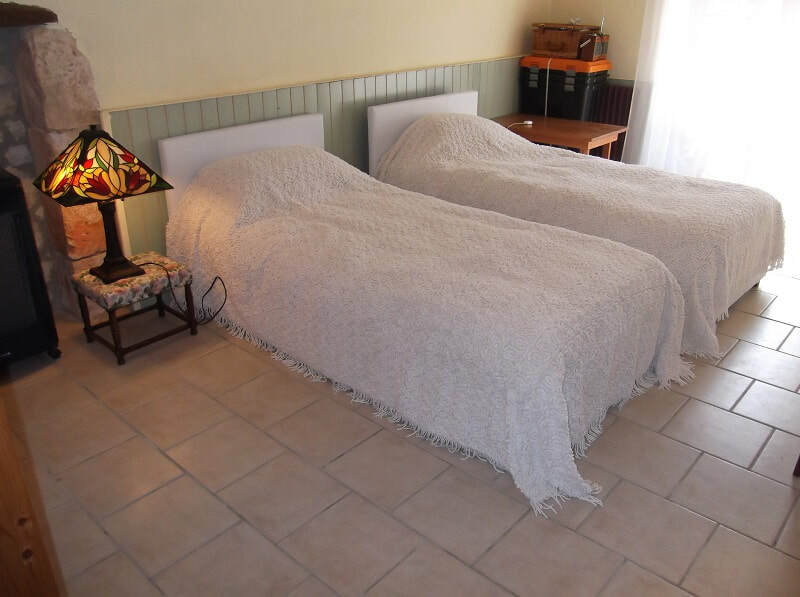 We also provide some further amenities for your comfort and enjoyment in all gites at Vieux Mirou, which you can read about here.